Celebrity Gossip and Entertainment News: Honey Boo Boo in Bed with Child Molester? Honey Boo Boo in Bed with Child Molester? Mama June accused of allowing her 9-year-old daughter Alana 'Honey Boo Boo' Thompson to cuddle in bed with child molester ex- Mark McDaniel. It’s a disgusting betrayal by reality television’s worst mom EVER! 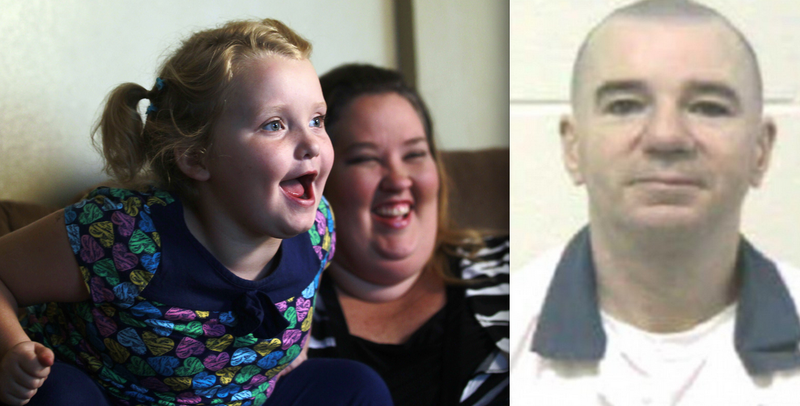 In a blockbuster exclusive, the uncle of Alana “Honey Boo Boo” Thompson has told The National ENQUIRER that he eyewitnessed Alana in a bed with her mother, Mama June, and the man who was convicted of sexually molesting another of June’s daughters. “I’m disgusted with June for not protecting Alana from Mark!” Marvin Lee “Uncle Poodle” Thompson told The ENQUIRER. “This guy can’t be trusted. He needs to be locked up and have the key thrown away.” McDaniel, 53, was released from prison in March after spending 10 years behind bars for molesting June’s then 8-year-old daughter Anna. Despite his fiendish past, McDaniel traveled with June, Alana, Uncle Poodle and his fiancé to a casino in Cherokee, N.C., on Sept. 12 for a weekend of gambling and sightseeing, according to Uncle Poodle, who, along with his fiancé. All five stayed in the same hotel room with two queen-size beds. Uncle Poodle and his partner took one bed, while June and Mark slept in the other, and Alana bunked on the floor. Why did they take Honey boo boo on that trip? Then make her sleep on the floor. ..It was her money that paid for the trip!